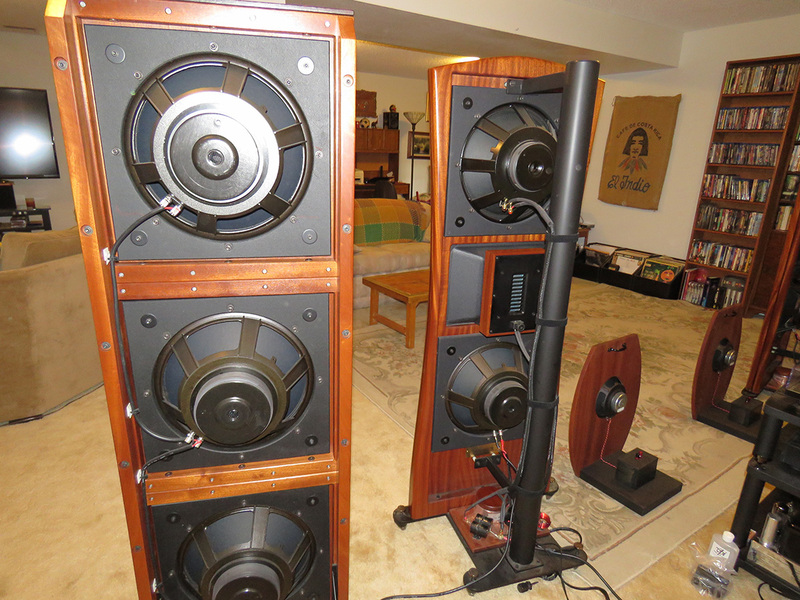 I have been a hifi enthusiast for more than 40 years and have assembled a budget system which sounds anything but budget. This system was put together to reproduce the musical qualities of natural tone and atmosphere I have come to enjoy; and to offer it to others who may share the same passion for music. All components were purchased solely to make available to other music lovers and are as new. Speaker wire and interconnects are included. Note, this is a hobby for me. Price is my cost and firm. Call or email to schedule an audition of this system and hear it for yourself. • Amplifier: Musical Paradise MP-301 Mk3 Deluxe 6.5wpc tube amp. Comes with 6L6 power tubes. Can also take 6P3P, KT66, 5881, EL34, 6CA7, KT77, KT88 and 6550 for those who like to experiment with the sound. • Source: Onkyo C-7030 CD player, a high value player with qualities that match well with the rest of the system. With that context established, let's meet George! I have enjoyed listening to music for as long as I can remember. As a child I would fall asleep each night listening to my clock radio and wake up to the music option on the alarm. I played the grooves off 45 singles on my parents' large TV/stereo console. In Jr. High's electronics class, I built my first tube short wave/AM radio receiver. During my freshman year in college I bought my first serious stereo. Of course it had to fit in a dorm room: EPI100 speakers, Pioneer receiver and a Stanton turntable/cartridge combination. That was the system which drew me into the seemingly never-ending search for audio nirvana. So the syndrome got a grip on you fast! And how! Off and on over the next 40 years, I bought and sold more audio gear than I could ever recall. In 2011 fate had me cross paths with Darrel Hawthorne of Hawthorne Audio. He and his wife Diana operated a speaker component business which catered to DIY open-baffle speaker builders. When I discovered them, they were in the initial development phase of a new reference series of custom built OB speakers. Their passion for what they were doing was addictive and before I knew what hit me, I had their Rainier speakers in my home. Listening for the first time to these OB speakers in our home immediately told my ears that I was getting very near to audio nirvana. After a lifetime of closed-box speakers, the room now became the enclosure. To my ears, it was as if all the performers were set free to let their music fill the room with natural life-like spaciousness. Natural tone and pace of the music are more important qualities for me. This is where I settled in on the vintage McIntosh components and how they complement the Rainiers in these areas. Another vintage Mc-head? Nice! 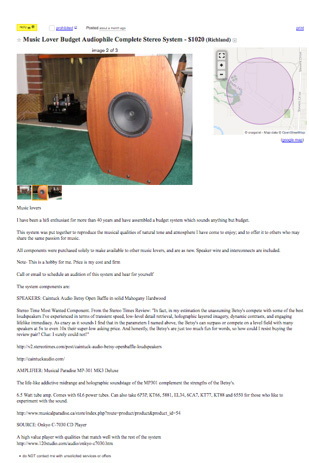 What about the rest of your reference system? • Cables: Duelund 16 gauge stranded copper speaker cables, Tuneful Cables Belden 8402 stranded high-conductivity interconnects.